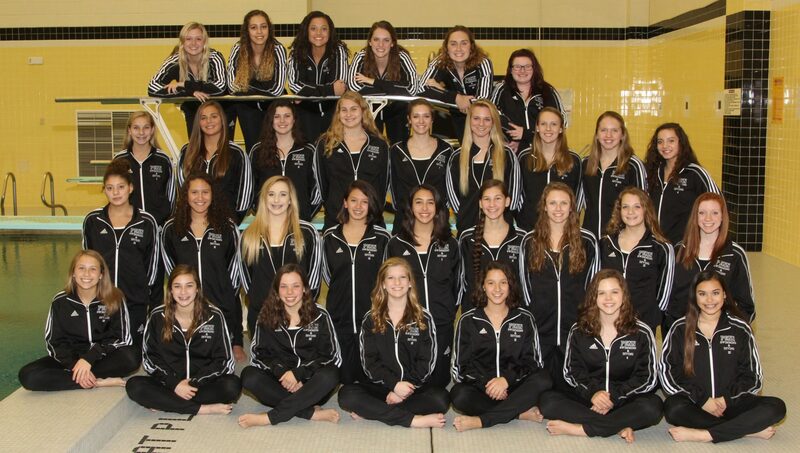 Penn High School’s Girls Swimming and Diving team added to its golden legacy, as the Kingsmen captured their 15th straight sectional title and 26th overall. Penn’s total of 26 sectional championships in swimming is the fourth most in the state. Click here for complete results. Penn defended its home pool on Saturday, Feb. 4, racking up 522 points, 90 more than the second-place team, South Bend St. Joseph. Penn won seven of 12 events, with nine different state-cut swims from 7 different swimmers. Penn winners include the 200 medley relay (Madilyn Zeigert, Kionna Clayton, Makenna Bottorff, Meagan Ronci), which set both a pool and sectional record. Kayla Molnar won the 200 freestyle with a time 1:52.43 and qualified for state. Makenna Bottorff won the 100 butterfly with a time of 56.49, just a second off the pool record. Meagan Ronci took the blue ribbon in the 100 freestyle. Kayla Molnar struck again and won the 500 freestyle by an impressive nine seconds with a time of 4:59.18. Penn’s 200 freestyle relay team (Meagan Ronci, Makenna Bottorff, Madilyn Ziegert, Kayla Molnar) set another pool and sectional record with a time of 3:29.18. State cut swims include Maddie Ziegert in the 50 free, Kionna Clayton in the 100 breaststroke.